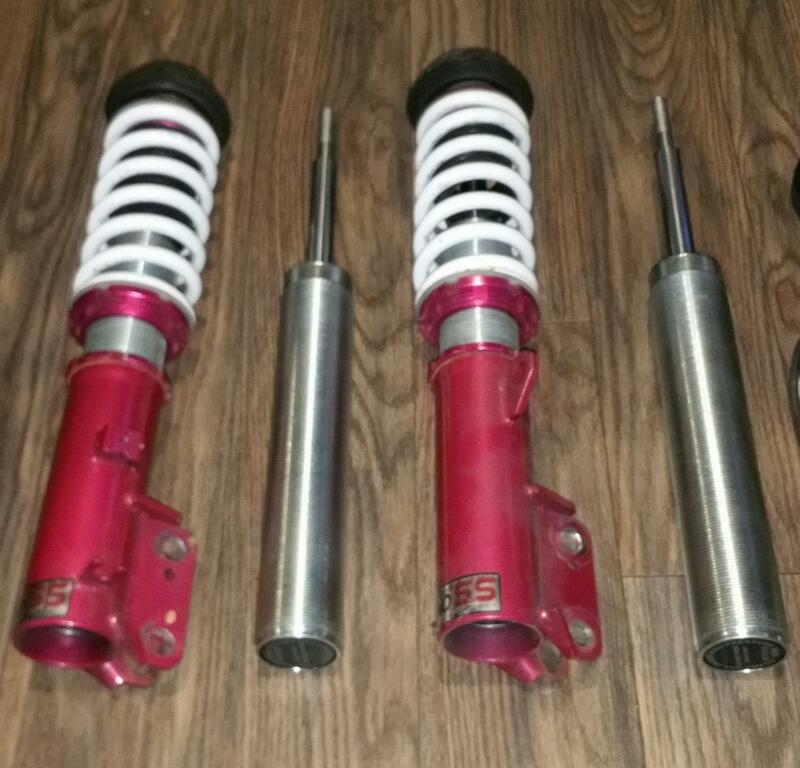 These are Genuine Godspeed MonoSS Coilovers for the 2012 - 2017 Kia Rio. 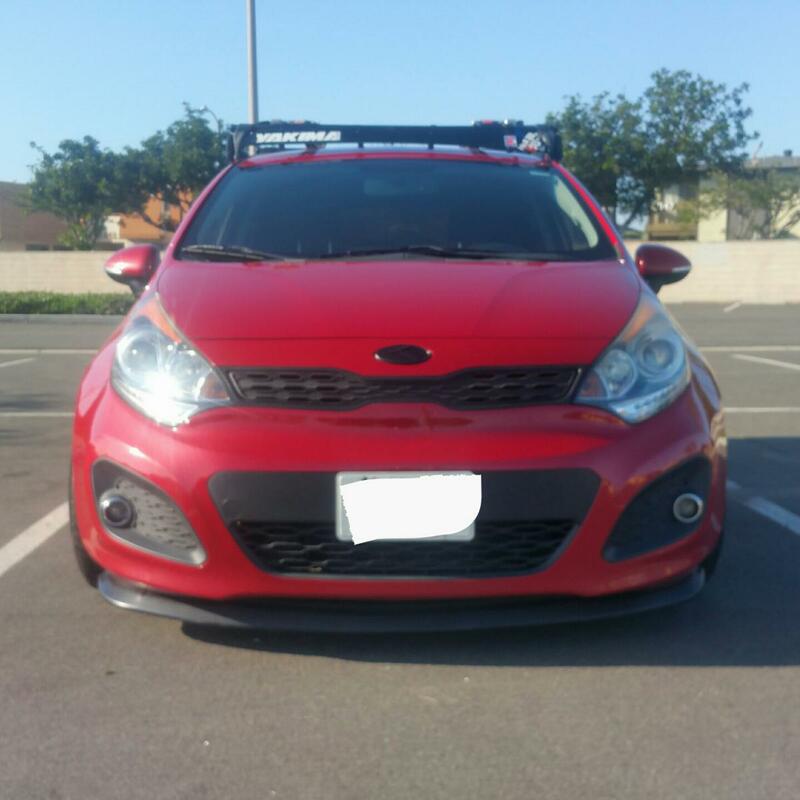 The coilover installation on the rio can be tricky and usually the coilovers don't come with all the parts necessary to do a true swap but these coilovers also come with pre-installed strut mounts for an easy swap-and-go installation. The struts currently installed are stuck on the hardest setting but if that's not to your liking they will also come with brand new 100% working extra strut replacements (See Picture). They were tracked once and performed wonderfully, other than that they have been used under normal driving conditions (Outside of the new struts, those have never been used) for approximately 10,000 miles. The Rio pictured has them installed to get an idea of the drop, they go much lower. 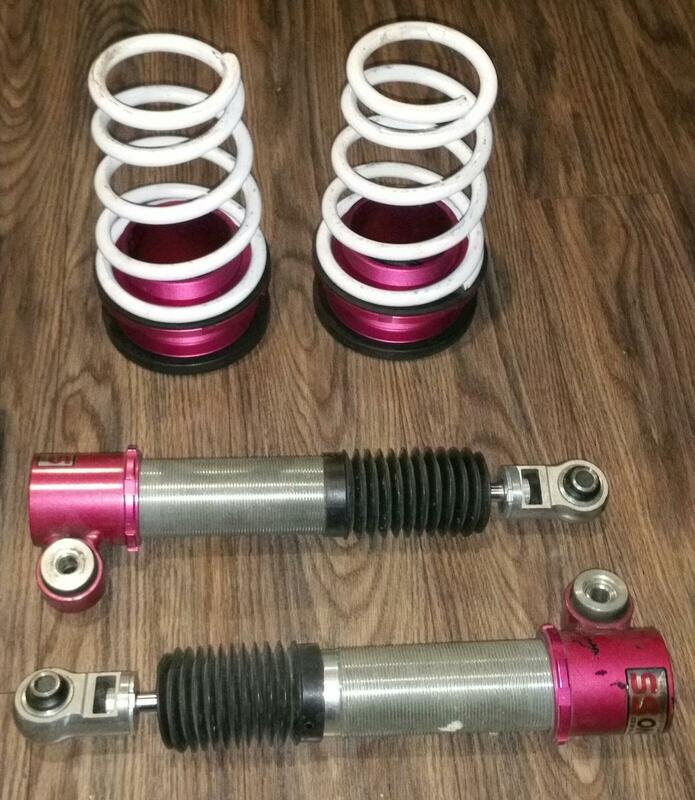 Prior to installation, verify all hardware and properly preload suspension to 10mm. I am willing to ship beyond those states but the buyer will have to pay shipping. is that a spoiler on there? I'm just seeing this now. If you mean the rear spoiler, yes it is.